Option 1: For Social Posts, Find Images in Batches — It’s easy to wait until the day a post has to go out to search for a compelling image, but it doesn’t have to be that way. Chances are, your e-commerce business focuses on a finite subset of types of people and products. Your blog and social posts will most likely follow the same theme. When you have a little downtime, consider the topics you would most likely write or comment upon. Then, go to a website that offers stock photography and illustrations, peruse their offerings, and then choose a number of images to browse through when needed. You don’t have to buy them until you want to use them. Most image sites have a handy “lightbox” where you can save images you want to use at a later time. We would advise that you stick to either creative commons images or sites like Shutterstock, to ensure you are using images legally. Option 2: Take Your Own Shots — For shots of your own business or products, or for Facebook or Twitter—where Buffer reports 150 percent more shares with pictures—sometimes a cell phone camera is good enough. For better pictures, use a good quality camera and shoot in great lighting. See this great and timely post of earrings with “Like” buttons hand stamped on them. ShipStation client, The Silver Diva, used this shot in a post designed to get them over the hump of 4,000 likes! For your website: Invest in professional quality shots of your wares, your offices and your people. Advertisers have always known that people buy based on emotions, not facts, products or features. Your visual presence is worth investing in to leave the right first impression. Check out the clean lines of ShipStation customer, The Cat Ball, and the images that so perfectly showcase the cats and their toys. Photos still compel, but a demand for video content is coming up strongly in 2014. Videos are four times more engaging than static content. This infographic from Wyzowl tells the story of the rise of video. While the term “infographic” has been around for a while, it has only become popular in recent years. Today, businesses who market with infographics grow in traffic an average of 12% more than those who don’t. Infographics are a visually appealing way to communicate (even complicated) information quickly and easily to your audience. 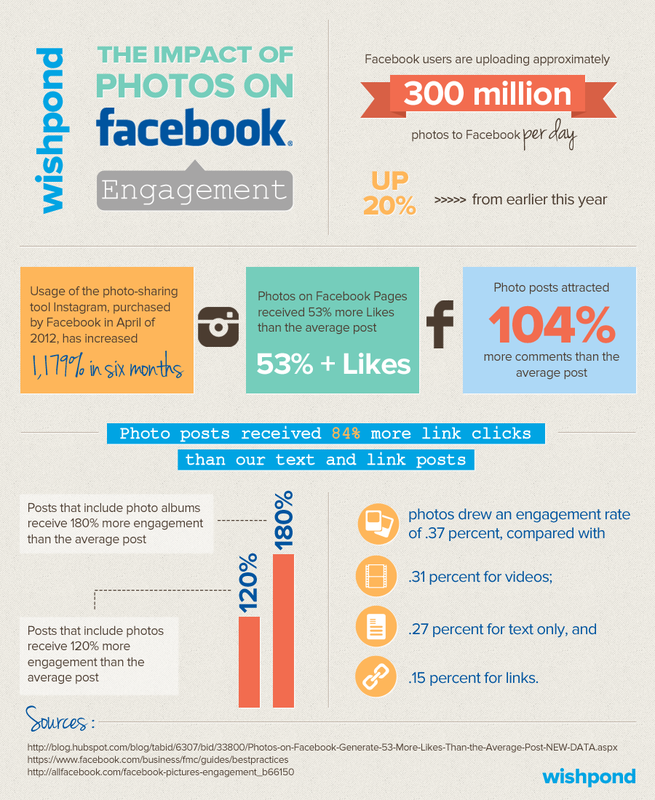 The linked infographic illustrates why infographics are so popular. We even participate in the infographic-creating “business” with our yearly Guide to the Holiday Carrier Closures & Ship By Dates. If you’re thinking of making your own infographic, first off, don’t worry if you don’t have your own data. Many great infographics were created by compiling the results of several studies. No designer on hand to help? No worries. There are a ton of great, easy-to-use sites that will make making infographics a breeze. Check out this great overview of a dozen of them by CreativeBloq. Using images, video, and infographics in your business can dramatically increase your sales. We’d love to hear your own visual content success stories!